Nov 25 What Would Have Happened? From my earliest days of childhood, I have loved fantasy fiction. The idea of grandiose adventures that took me to new kingdoms, other worlds, and into perilous circumstances flooded my thoughts to the point where I thought I would take a stab at writing it. I was unsuccessful. 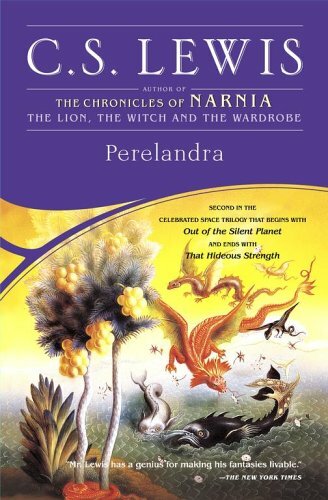 Having read the Lord of the Rings by Tolkien (which, we’ll have our #TolkienWeek, just you wait) and The Chronicles of Narnia by Lewis, my writing seemed to lack a certain depth in conveying themes that seemed important. There is no such lack in these two juggernauts of writing. These two taught me to value the story. Lewis seems to be valued and claimed as a theologian by nearly every denominational camp. I think he had some errors, or, at the very least, some very vague assertions. I do not think Lewis’ strength is as a theologian proper, but as a writer, more specifically a writer of fiction. He can convey Biblical themes and theological concepts that are more easily palatable when told through a story. It seems the stories that resonate with us as Christians the most are those stories that reflect in some way the Gospel of Jesus Christ. Lewis does this in obvious, memorable, and poignant ways. He masters storytelling and in my opinion, takes it to its highest form. His second installment in his Space Trilogy, Perelandra, is probably my favorite work by him. In it, he tells of Dr. Elwin Ransom who travels to Venus (called Perelandra), and finds a world unstained that is just beginning, with a new First Man and First Woman, the heads of that race, even as Adam and Eve were in ours before the Fall. Dr. Ransom has to contend in a debate against his contemporary Dr. Weston, who is trying to sway the Woman, called the Green Woman, to rebel against the will of Maleldil. Dr. Ransom eventually succeeds, the Green Woman resists, and Perelandra does not fall. As I read this novel, I couldn’t help but wonder, even as Dr. Ransom did, what would have happened if Eve had not succumbed to temptation. I wondered what would have happened if Adam had stopped her or had rectified the situation in some way. How would the world have been different? What would we have been like? Was it supposed to be this way? Dr. Weston, as the Unman, asks questions of Dr. Ransom in this vein: did not the sin of Adam bring about the Incarnation of Christ? Surely, then, Adam’s action must be a sort of good if it brought about that greater good. There was a good that would have continued on had not the firstborn of our race not fallen. We do not know what that good is. We do not know where the world would have gone, what it would have looked like, or even imagine a life without the stain of corruption. The Perelandrians knew of Maleldil taking on flesh, even saying that the “world where this was enacted is the center of worlds.” Even on this perfect planet, where there was no corruption, no lack of beauty, and purity reigned; the world where the Beloved condescended to become flesh is the center of worlds. We cannot wonder what would have happened, for no one is told what would have happened, as Lewis remarks in Prince Caspian. We can imagine it. We can put it on paper, even as Lewis did here. But we can never reclaim that first good. The takeaway from this exceptional novel, the impression that is tenderly seared onto the mind of the struggling, hoping human is that Jesus is human too. And in love, He united Himself to His creation to redeem all of humanity and reclaim the good. The Incarnation, crucifixion, and resurrection of Christ is the apex and climax of all history, space, and time. And, “since our Beloved became a man,” the latter good will be far greater than the former. This is the beauty of a story, and, in my opinion, the highest form it can achieve — telling the Fairytale that is not a fairytale.